Displays lightning strike distance, storm direction and battery life. Number of alarm beeps depends on the proximity of lightning. Senses lightning up to 64 km (40 miles) away. Personal and portable unit that can be worn hanged to your belt. 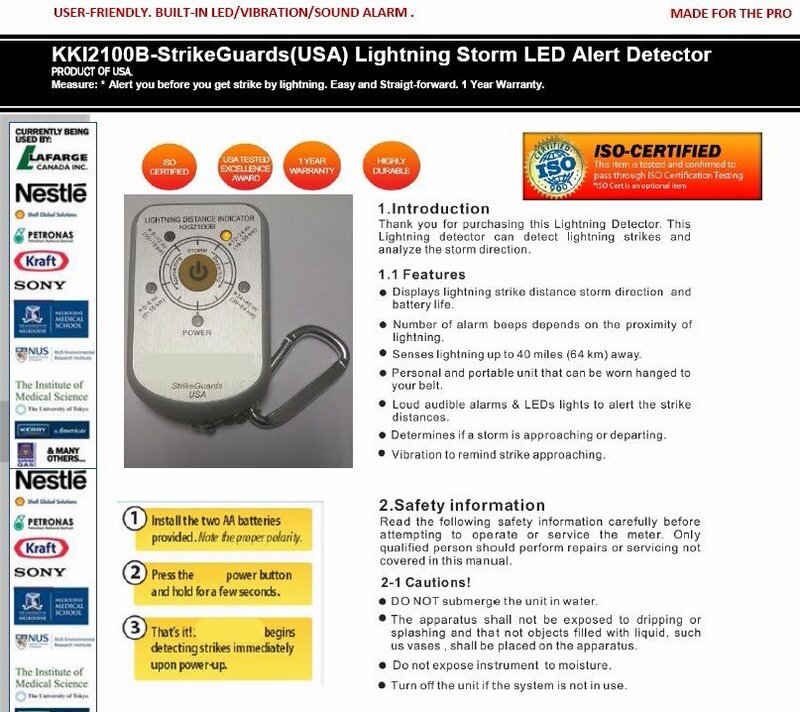 Loud audible alarms & LEDs lights to alert the strike distances. Determines if a storm is approaching or departing. Vibration to remind strike approaching.